To request additional info or basic pricing, fill out section A and click "Submit Info Request". For a detailed custom quote fill out both sections A and B then click "Submit Design Quote Request" at the bottom of the page. Include any additional model reference #'s from our website in the field to the left (it starts with letters and ends with numbers). Keep in mind we can re-create any design for any shape, size or quality center diamond. We will respond to your request within 48 hours. If you do not hear back please e-mail or call us to verify. Fill out as much of this information so that we can give you the most accurate response on creating your custom piece. 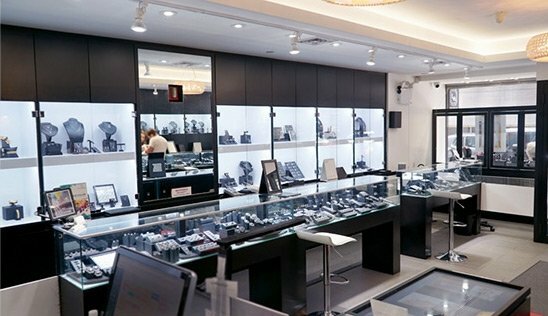 Based on the center-stone details you enter, our gemologists will provide you with the best available choices from our large inventory. Please enter tighter ranges as opposed to wider ones for both quality and carat size. Providing a budget is helpful, and our experts will only offer diamonds that best match each client's specifications while remaining whithin their target price range. 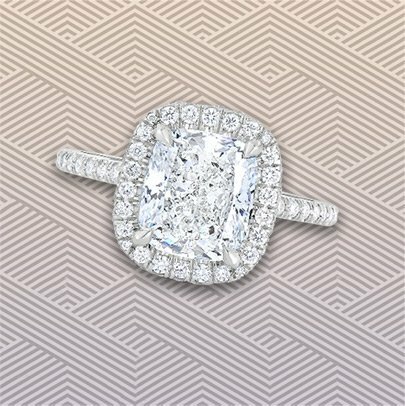 Click here to learn more about our diamond selection process. Attach any images of rings or designs that may be useful. Determine a ring design, center-stone shape and price range that you would like to focus on. We can custom make any ring design shown on our website, Instagram page, or elsewhere for any size, quality or shape center diamond. Pricing for each ring is based on the design elements, materials and metal selected; platinum and 14 or 18 karat white, yellow, rose gold. Based on your target price range as well as the desired center diamond quality and carat weight, our diamond consultant will prepare several comparable certified center diamonds for your consideration. An e-mail will be sent with all the specifics including pricing and attached certificates. After deciding which diamonds you are most interested in, we can send you emailed or direct Instagram videos (a username is required) of each diamond on its own, a side by side comparison and placed into an engagement ring setting of your choice. This will clearly show you all the live details of the diamond which you can not read on a certificate. Our consultants are always available to guide you every step of the way and answer any questions you may have regarding each diamond. You will surely be able to make a confident, informed decision. After a diamond is selected, ring design finalized, and price agreed upon, a deposit is required in order to start creating your ring. Secure payment options available are credit card over the phone, bank wire, check, or Paypal. Once the initial payment has been received a scanned work order document will be e-mailed to you stating all the details on the item being purchased including the amount paid, balance owed and any other relevant information. As soon as the ring is completed (typically in one to three weeks) we will send you photographs of the final product for approval. We are confident you will be amazed! With your consent we will arrange for final payment and shipment (or in-store pickup) of the ring. All shipping is done securely through registered and insured UPS or FedEX mail and we do ship around the globe. Please note that if you live outside of New York state there is no applicable sales tax which will amount to some great savings. We will send the ring to you on your desired date and will also e-mail you a tracking number ahead of time. 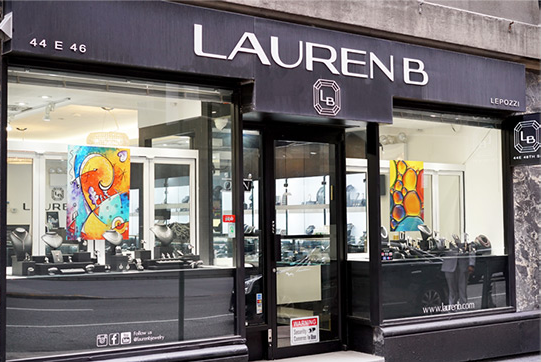 Your ring will come with an official store receipt, diamond certificate, and full appraisal. We stand behind all of our products and we guarantee your satisfaction.